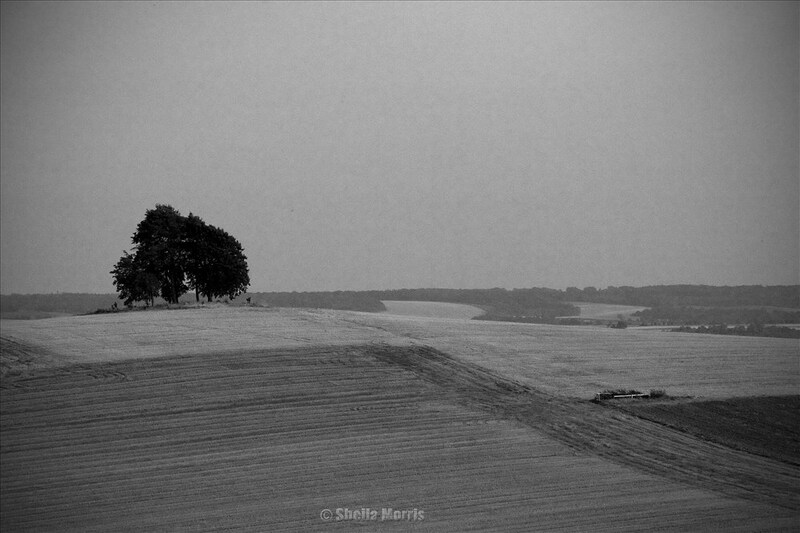 A lonely tree in black and white. Taken from a local hill known as Wittenham Clumps in Oxfordshire. This tree represents where Brightwell Barrow is situated and is a Bronze-Age round barrow.